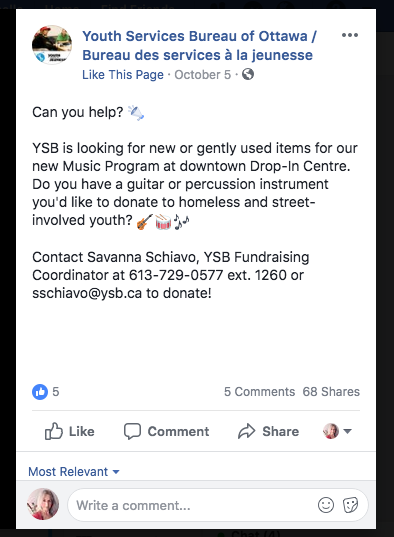 Donate Used Musical Instruments (Ottawa Area) – CharityWishList.ca – Easily connect to charities near you. Donate used items. WHERE TO DONATE USED MUSIC INSTRUMENTS, LIKE GUITARS, VIOLINS, ETC. Your donation of a guitar can help change the life of a veteran in need. Do you have an extra guitar that hasn’t been played as much as it should? Please consider donating it to Guitars for Vets, where it will be recruited to play a lead role in the music rehabilitation programming for a veteran who needs it most. 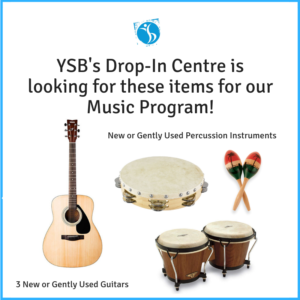 OTTAWA PUBLIC LIBRARY – SPECIFIC TYPES OF INSTRUMENTS, LENDING LIBRARY – NEW! Is in need of new or lightly used items. Please contact St. Brigid’s if you would like to donate. You can leave a voice mail or e-mail message at anytime. We are available in person Monday-Thursday 5pm-8pm. All messages will be returned within 24 hours. Accepts musical instruments (but not pianos and organs). Drop off possible at the Ottawa thrift stores & home pick-ups possible. I have an acoustic guitar i am trying to get rid of works fine comes with a case. Let mw know if you would be interested in it. Hi, I am considering donating our 100 year old Heinzman piano. It works great and it is in a great shape. I live in Ottawa, ON, K2J 5S6. Can you advise if and how I can donate a piano here? Please message me at pkallai@keystep.com. I have a piano to donate as well. I”m unsure of the name or age, at least 40 years old. I live in rockland Ontario. electronics including working computers, TVs etc. Note: if the distance to pick-up is long, it would be appreciated if the donor shares the mover’s expenses. Thanks.